Next SARA Meeting Thursday May 2, 8:00 pm. 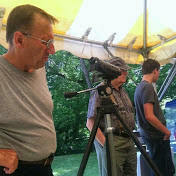 club presentation will be Jon Shapiro’s thoughts on building a magnetic loop antennas. Terry will be giving a presentation on this years preparations for Field Day. April's meeting was on Lightning Safety, presented by Steve Simons, W1SMS. Steve,who serves as the ARRLs CT Section Technical Coordinator. is an expert on the subject of lightning hazards and protection. Meetings are normally held on the first Thursday of each month (except for July and August) at 8pm. They normally run about 90 minutes, and consist of announcements, one or two presentations and snacks. Meetings take place in room 6-10C in the Stamford Government Center. Click for directions. We look forward to your membership renewal and participation in the coming year. Membership is open to all licensed hams. Dues is $25 for the year, which includes membership for you and your immediate family. You can register for membership online using pay via PayPal. You do not need a PayPal account to do so. The new website's membership page gets you 90% of the way there. Fill out the form, and once this is done and submitted, click the PayPal link to pay using PayPal Friends & Family. Our end of year report is available here. Please renew your memberships. Items for sale. Looking for something? Selling a radio? Add your Photos. We need someone to volunteer for net every Sunday. New 2019. We will be giving licensing exams on Saturday March 9, 9:30 AM -12:30 PM .